The Champions by Pragmatic Play is the perfect way to usher in some World Cup spirit whenever you need to. It's a football themed slot with special features like the Momentum Progressive Game feature, Penalty Shots Bonus and more. You can win up to 100x your bet. The game is playable on desktop, mobile and tablet for 25p to £125 a spin. Play casino slots online here at Easy Slots. Pragmatic Play made its debut into the gambling world recently, but they've already managed to establish a solid reputation for themselves. A company that was started in 2015 has already earned recognition from the best online slot developers, fans as well as key players in the industry. This is obvious from the way they have already bagged several awards. View more online slots from Pragmatic Play today! 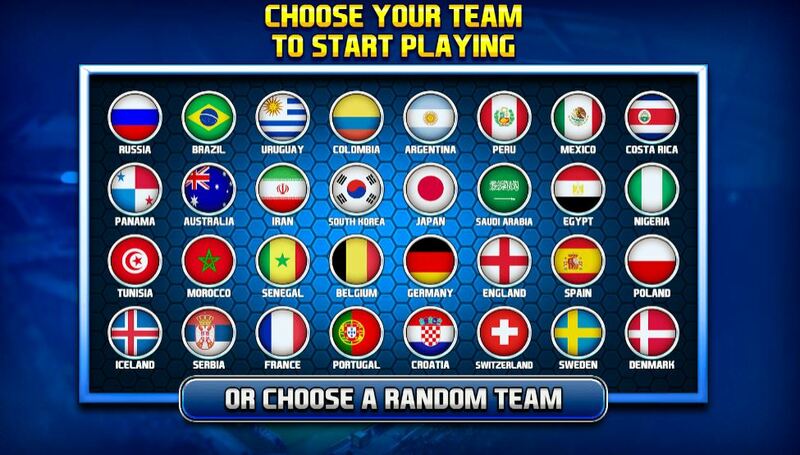 The first thing you’ll need to do when the game starts is picking which country you get to play as. You will pick 1 among 32 teams that qualified for the 2018 World Cup. The game includes packed stands and a pitch lying in the background. Symbols on the reels include; A, K and Q card symbols, boots, a shirt, a football, whistles and goalie gloves. The colour of the symbols corresponds with the particular team you have picked. E.g. pick Brazil and there'll be lots of blue and yellow. The football pays the best value of 2x, 8x or 20x your total bet when 3, 4 or 5 land on a payline. Wild symbol -The trophy acts as the wild symbol and is able to substitute all the other symbols except the bonus symbol. The wild can pay 3x, 20x or 40x your total bet per line. Momentum Progressive Game feature -There lies a target symbol over the reels. Players can shift it wherever they choose. If the ball lands in its position, a goal is scored and you get to level up. For the next batch of free spins, you’ll receive a multiplier that is applied to all your wins. 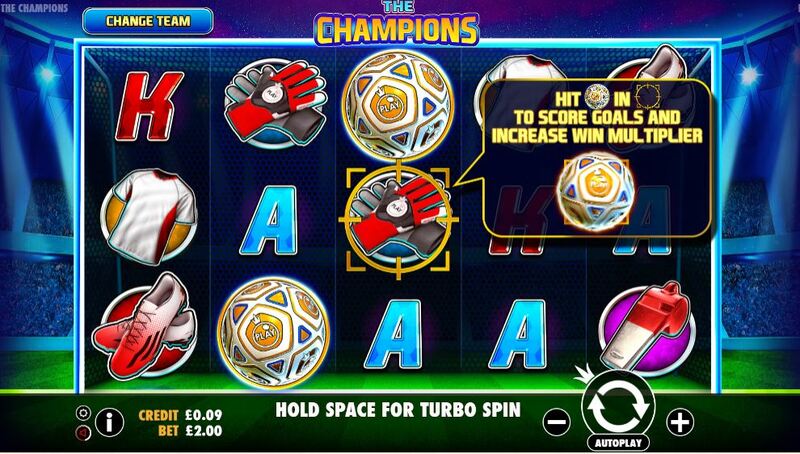 Score another goal and the multiplier increases and the number of free spins resets to 10. The multiplier will be active for the 10 spins only. Get through 10 free spins without any goals and you’ll reset the game back to the 1st level with standard 1x payouts. Penalty Shots Bonus feature -This feature is activated when players land the bonus symbol on the 2nd, 3rd and 4th reels on one spin. Your reward will be 5 penalties when you do. 1 of 4 targets will be awarded. If you hit a target successfully, you’ll win a reward. Win 1, 2, 3, 4 or 5 penalties and you’ll get payouts of 5x, 10x, 15x, 25x or 100x your total bet.